Did you know that 1.8 billion people lack access to safe water? In some areas, women and children walk miles every day to collect unsafe drinking water. 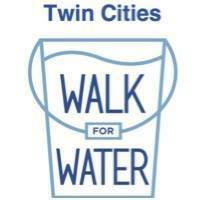 Pace Analytical Services, Inc. and Pentair have partnered to host the second annual Twin Cities Walk for Water in support of Water Mission. The goal of the Walk is to raise money and awareness to support people around the world who have to walk several miles daily to supply water to their families. This is a family-friendly event, open to anyone in the area who wants to raise awareness about the global water crisis. Moss & Barnett is pleased to be a Platinum Sponsor of the second annual Walk and will have a team walking as part of our #MBCares initiative.